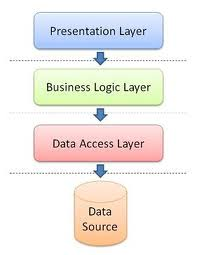 This is the type of layer which helps in understanding and determining the errors which are basically associated with the applications of the internet and the business logic of the internet connections. This layer is actually similar to one of the applications which are the stand alone applications. In this application one can employ to the techniques, the white box technique and the black box technique. In this testing it is also required and important as well that a project manager and all the associated members to the team of the particular project has to plan and schedule and create the procedures for the process to be carried out in a proper manner, so that, it can achieve the desired goals in order to achieve the success of the project and the organization. And in order to achieve this whole target it is very important for the project manager and the associated team members to be to make plans in order to identify the errors and the mistakes which may take place or which are taking place during the entire process. Data acquisition and transaction processing. Because the project manager Marjory access the program logic he has to employ the white-box approaches for components developed in-house because it proves to be a great help for it. But still, the primary testing approach for this layer specially is actually the Black Box Testing. It starts by the development of the test drivers to test the units (unit test) the individual component. Then the time for performing the next step comes and it is the system test which has been performed in order to determine that whether all the components work together correctly. If it not so then the corrective actions are taken place as they are very important too in order to achieve the desired tasks and the goals which has been set by the organization. SEO Interview Questions What is Search Engines ? Broadening the scope of your test by replacing fixed values with parameters lets you check how your application performs the same operations with multiple sets of data. Adding logic and conditional statements to your test enables you to add sophisticated checks to your test. Keyword View: Lets you easily build and maintain tests without writing VBScripts. Auto-Documentation: Provides improved test clarity and the ability to view test steps in plain English. Step Generator: Allows you to quickly insert custom-built functions into your tests. Mercury Business Process Testing: Enhanced integration with BPT -- Business Components, Scripted Components, and Application Areas. Enhanced Expert View: Provides greater efficiency when generalizing test components. Action Parameters: Allows you to generalize testing actions for greater reusability. Data Parameters: You can now specify test or action parameters to pass values into and from your test, and between actions in your test. Open XML Report Format for Test Results: Test results are now stored in an open XML format, enabling you to easily customize the reports according to your own requirements, and to integrate the test result information with other applications. Unicode Support: Lets you test global deployments of your enterprise applications. Function Definition Generator: You can use the new Function Definition Generator to generate definitions for user-defined functions, add header information to them, and register functions to a test object.